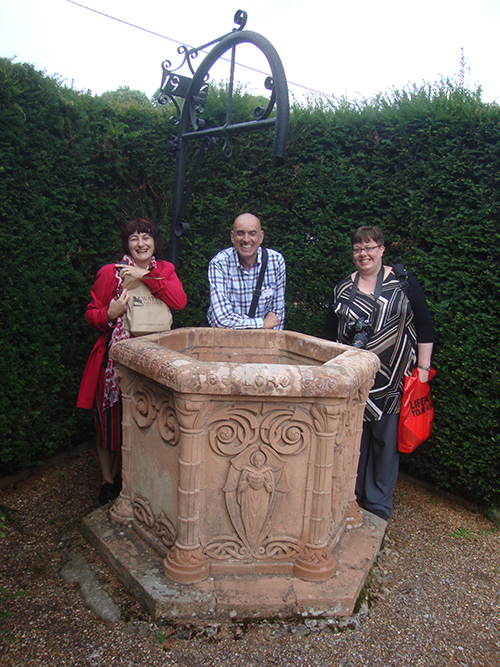 Last month I did a preview of the £13 million revamp of the Watts Gallery in Compton near Guildford. 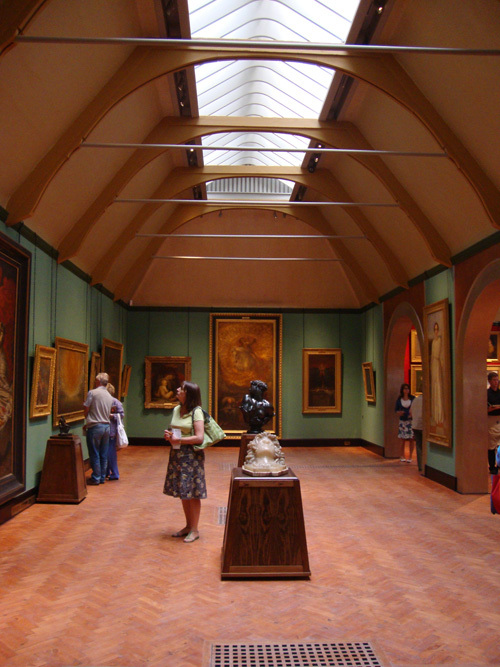 The gallery is dedicated to the works of Victorian artist George Frederic Watts, “England’s Michelangelo”. 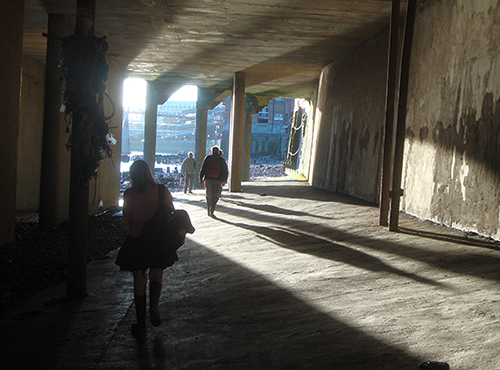 It reopened to the public last weekend. 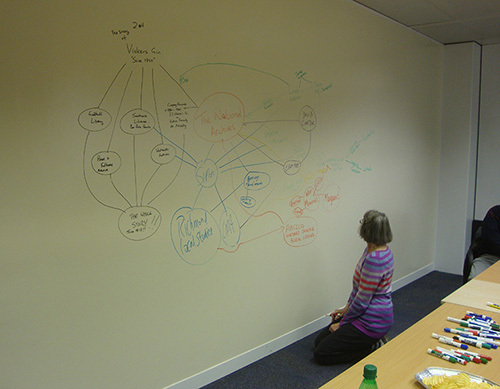 The Watts people requested that I publish minimum photos until the official launch when all press coverage could be coordinated and maximised. So here are some more, which don’t come near to doing this wonderful gallery justice, but I hope enough to entice you to visit yourself. 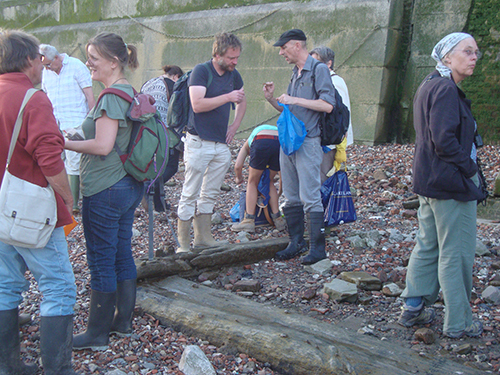 There is also a list of press review links on our web site, here. Today I was most privileged to be asked to attend the Friends’ viewing of the Watts Gallery in advance of its re-opening on 18 June following extensive renovations. 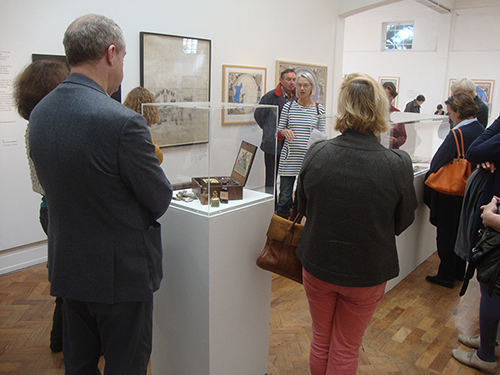 The celebration included readings by actress Penelope Keith (a supporter of the gallery) from Mary Watts’ diary, an extra treat. 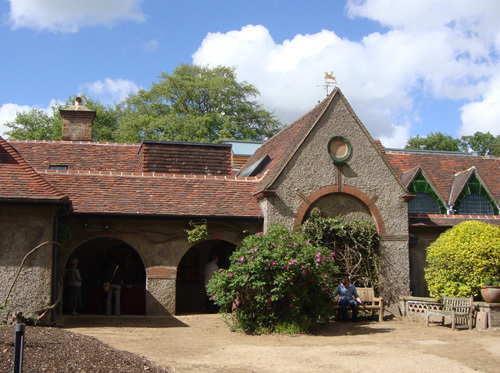 The Watts Gallery – based near Compton in Surrey – is the spiritual home of the works of George Frederic Watts, OM, RA (1817 – 1904), the prolific Victorian painter and sculptor. 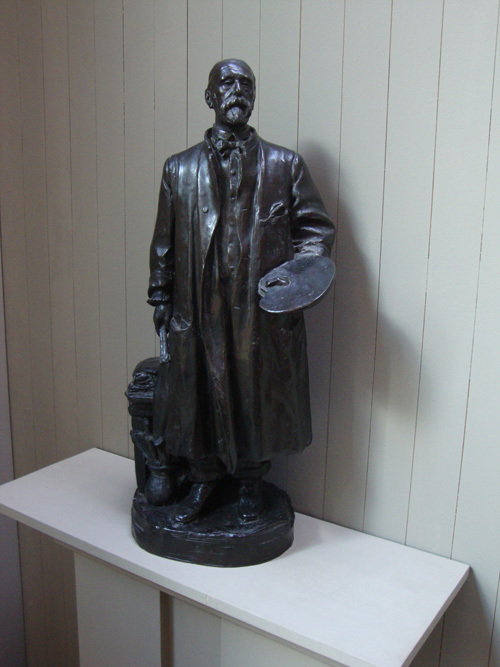 Watts was born in Marylebone and spent much of his long working life in London. Like many Victorian aesthetic artists, Watts was prepared to turn his hand to many styles of genre painting and was unafraid to branch out. All are richly represented here. 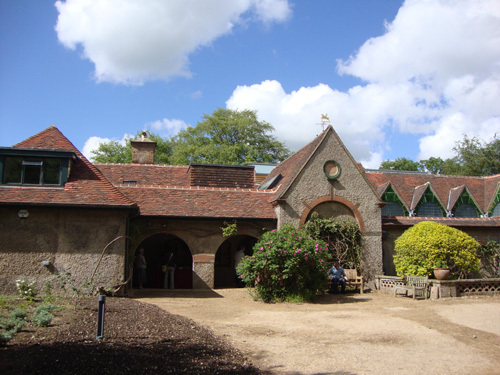 The Watts Gallery was founded by the artist himself very near the end of his life. It was the first such devoted to a single artist and remains so. But Victorian art quickly became generally unfashionable in the 20th Century. 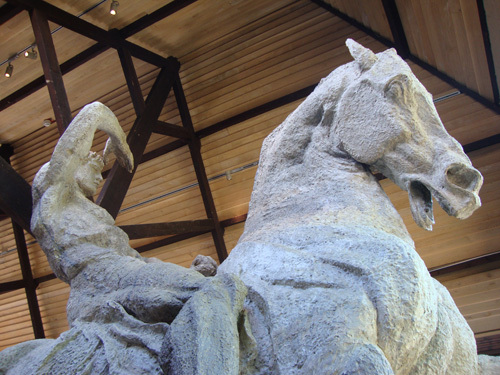 And although less than an hour’s drive outside London, the gallery is based in the countryside, off the beaten track. Hence in recent times the buildings had become run-down to the extent that some works were actually in danger of being damaged by the elements. Something had to be done. And now it has been. 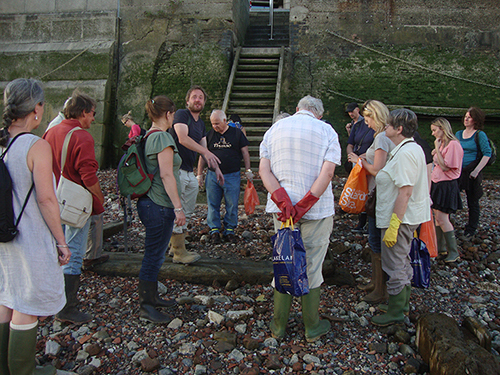 The gallery has run an extremely successful fund-raising campaign which included revitalising its Friends programme and attracting new benefactors and supporters. The resulting restoration is spectacular. 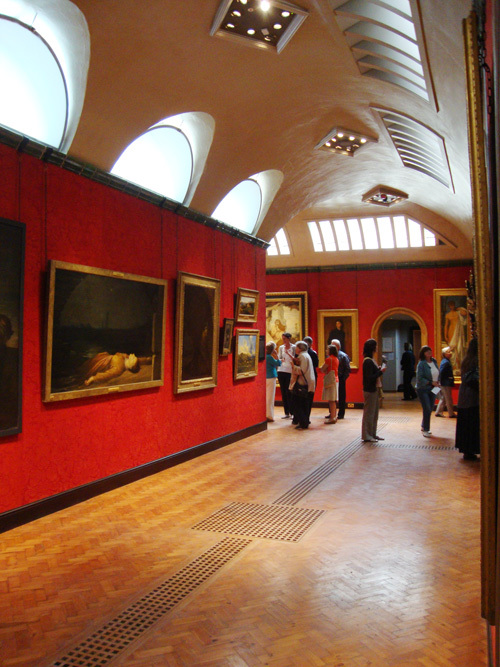 The main two galleries which house the bulk of the paintings have been restored to their sumptuous turquoise paint and woven wine-coloured wallpaper (specifically recommissioned to the original specification). 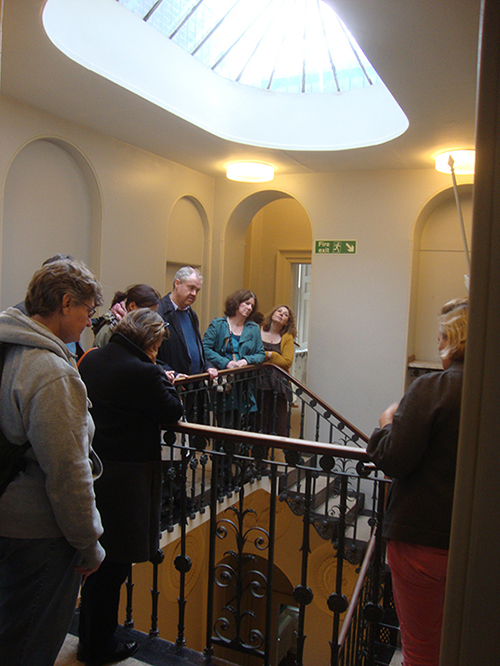 There are also two lower galleries. The first faces you as you enter and has a personal flavour. In here are displayed portraits of friends, for example the family of his benefactors, the Ionides; late self portraits; a striking portrait of his second wife, Mary. In the centre of the room there is a display cabinet containing letters, photographs, sketchbooks, the artist’s tools of the trade, his death mask, and possibly most pleasing: his trade-mark maroon skullcap. Overall, the galleries look absolutely splendid, but you’ll have to take my word for it at the moment because there is a temporary embargo on interior images until closer to the opening date. It’s all about managing the “ta-daa” effect. So watch this space. 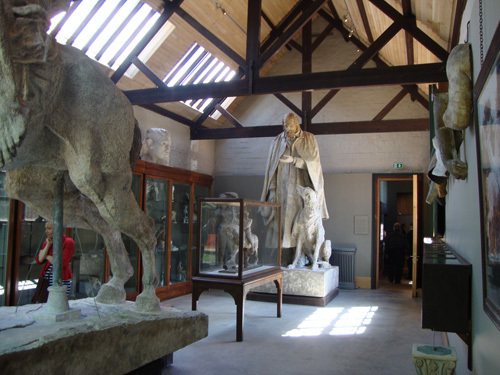 Also on a lower level beyond the main galleries, is the sculpture gallery which house the models for the monumental equestrian statue Physical Energy, from which three casts were made: two reside in Africa and the other in Kensington Gardens; also the massive 12 foot model used for the statue of his friend Lord Tennyson. In addition there are dozens of smaller models and casts of hands feet, busts and so on. 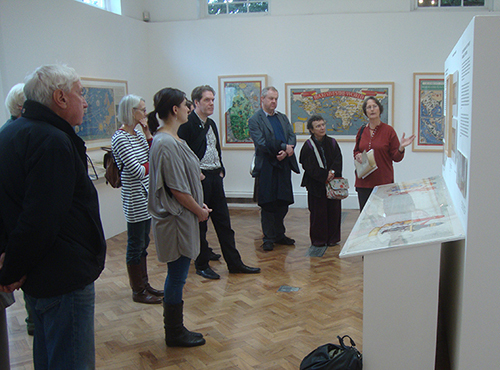 The remaining room of the gallery is devoted to one work: Hope. 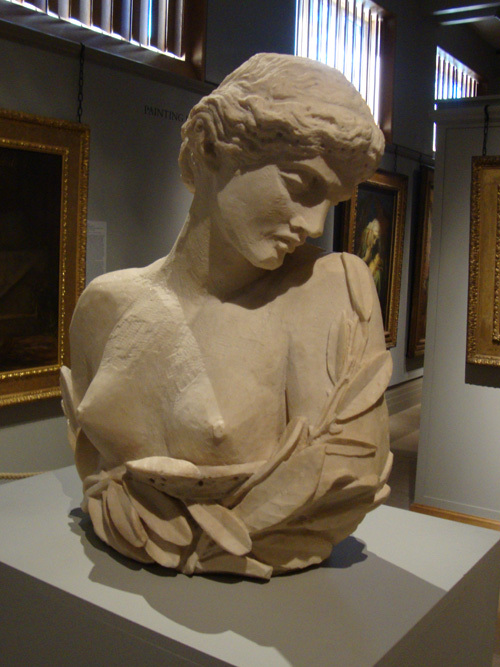 Watts made two versions of this, one of which was part of his Tate bequest of 1897. Like the Mona Lisa, this work has become an iconic template for artists, illustrators and cartoonists to adapt ever since, many examples of which are on show. From the whole gallery, my favourites are three large social commentary canvases hung in a row at the centre of the gallery. They represent mid 19C poverty, squalor and deprivation. I’m not sure they can really be categorised as belonging to a genre since Victorian treatment of these topics is more sentimental than this (although I’m no expert). They are: The Irish Famine; Found Drowned; and Under a Dry Arch. 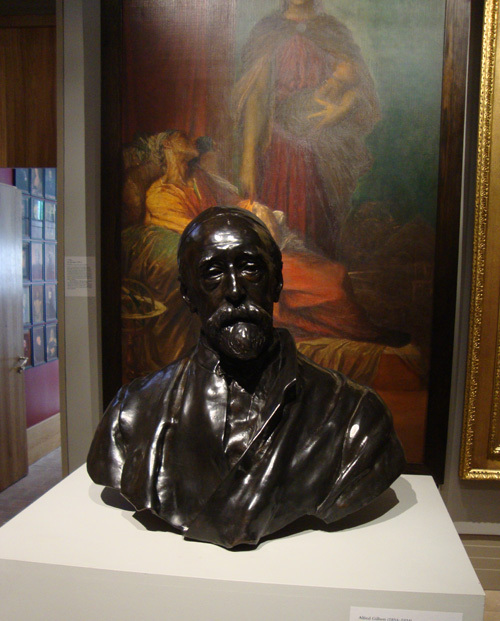 While waiting for the re-opening next month, there are plenty of places in London to observe GF Watts. Postman’s Park – GF Watts’ monument to heroic acts by ordinary people, also blogged here recently. 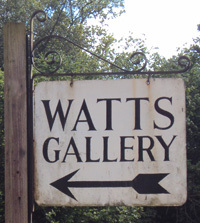 Concentrating rather on the gallery itself, I haven’t dwelt on Watts’ life and work much here (where to start?) since there is plenty of good stuff on the web already, see the links below. 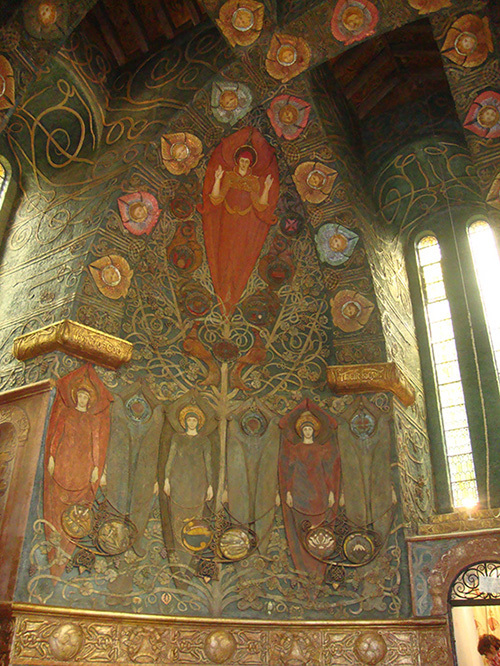 The Watts Gallery re-opens to the public on 18 June. It will be open every day except Mondays. Admission is £7.50. 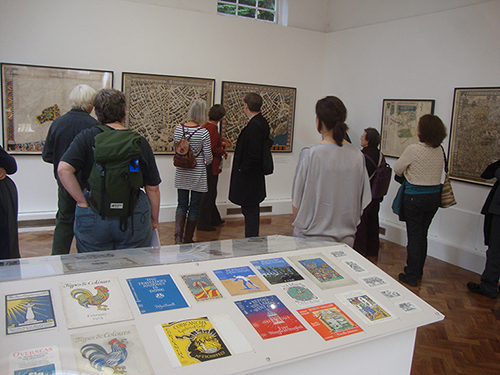 Free entry for Art Fund members and Friends of the Watts Gallery (£20 per annum). There is plenty of directions information on their website, including public transport. Although the gallery exhorts you to go green, parking facilities are good, so I would recommend you take the car. And take some friends: you won’t regret it. 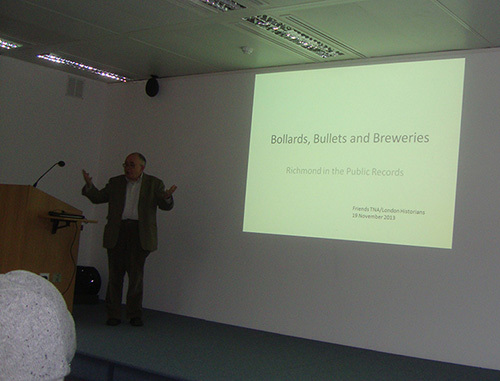 I would like to thank in particular for his generous time on a busy weekend for his institution, curator Mark Bills. The staff and volunteers did a spectacular, warmly welcoming and professional job; I believe things bode well for the future of the Watts Gallery.